You can count on us to provide a top class plumbing service. We feel privileged to have become the choice of so many homeowners when it comes to resolving their plumbing concerns. We are a reliable team of plumbers that offers high quality service at affordable prices. We have in turn been rewarded with a loyal customer base that returns to us time and time again. Give us a call on 0117 345 9251 and let us help you, like we have helped numerous Bristol customers like yourself. 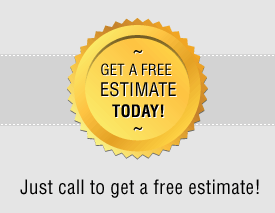 We have an excellent response time, we don’t charge any call-out fees and we also offer you a free estimate for the job. You can be sure that we won’t keep you waiting. We turn up when we say we will and we take extra precaution when doing our work, especially when working with gas. Safety comes first so if your gas boiler or your central heating needs a repair, you'll need the services of a Gas Safe registered plumber to tackle such problems. Simply pick up the phone and call us today on 0117 345 9251 - for complete peace of mind. Want an idea of price? We are a reputable plumbing business based in Bristol so no matter where in our lovely city you live, give us a call if you need a plumber. If you're facing central heating systems or boiler servicing or repairs then just give our Bristol team of expert plumbers a call.